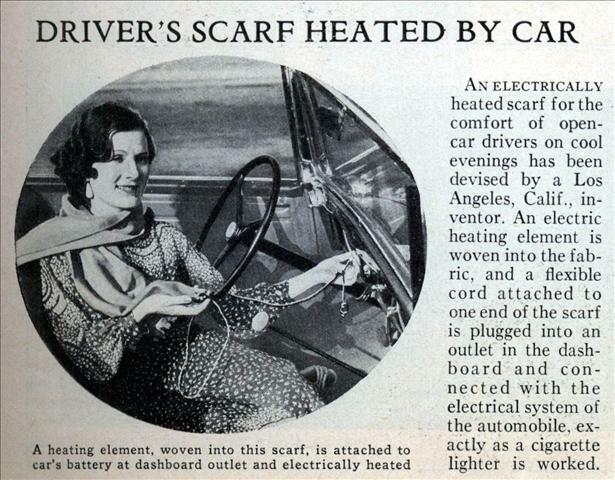 An electrically heated scarf for the comfort of open-car drivers on cool evenings has been devised by a Los Angeles, Calif., inventor. An electric heating element is woven into the fabric, and a flexible cord attached to one end of the scarf is plugged into an outlet in the dashboard and connected with the electrical system of the automobile, exactly as a cigarette lighter is worked. If she was cold, she could put the top up. 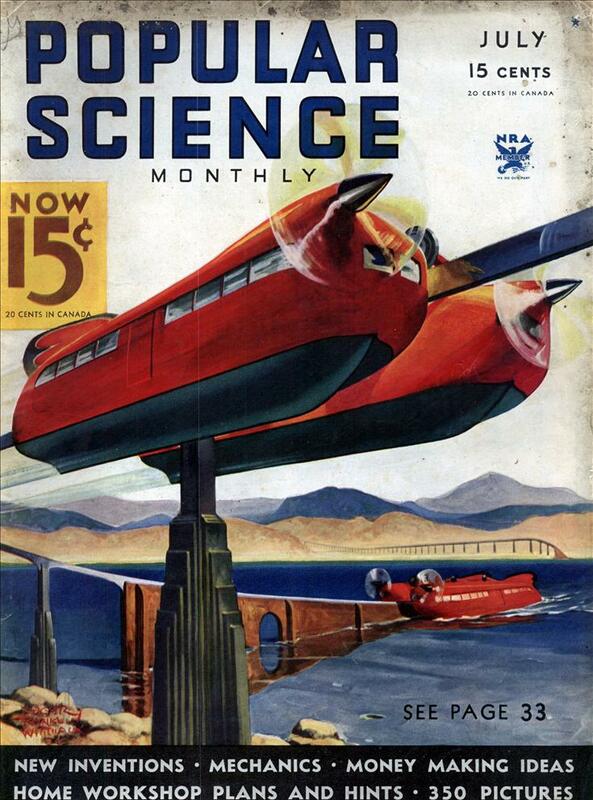 Didn’t they learn anything from Isadora Duncan? Also, why does someone in Los Angeles need a heated scarf?